The principal reserve shows Diana, goddess of the hunt. That on the back is painted with birds in branches. 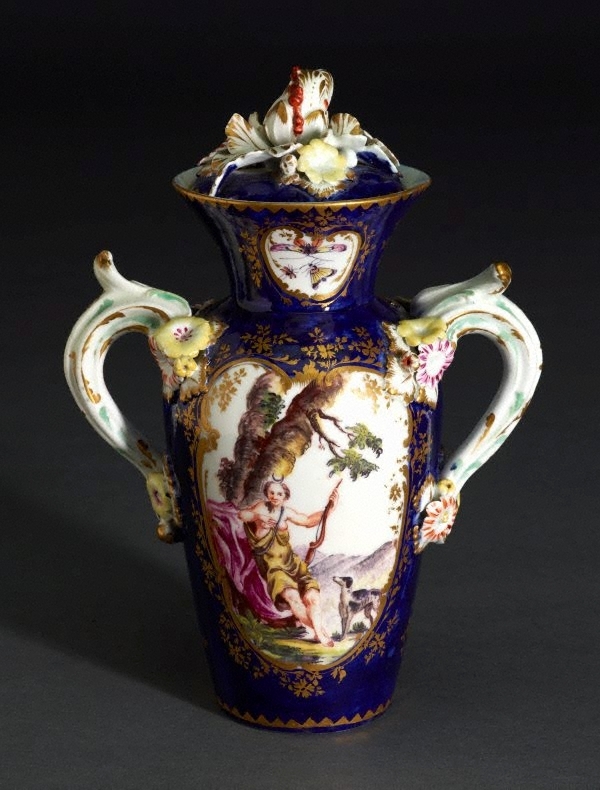 Originally the vase would probably have been one of a pair in a garniture of three, the centre vase having a straight neck and domed cover (a garniture of this description decorated with Watteau scenes is in the British Museum).